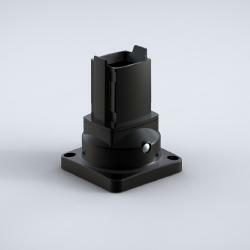 Rotary base or wall flange for SM system, angle of rotation 300º with stop. Rotation angle limiter is to be ordered as a separate product. 1 piece, sealing gaskets and mounting accessories.